Chris Evert beat Martina Navratilova in the final 1982. Tennis fans around the world could not have hoped for a better final at Australian Open 1982, when great rivals Chris Evert-Lloyd and Martina Navratilova battled it out on the Centre Court of Kooyong. Evert-Lloyd’s consistent ground strokes and clever net play ultimately proved too much for Navratilova as she emerged the 6-3 2-6 6-3 winner. It was the American’s first Australian Open victory and her 13th Grand Slam title overall. 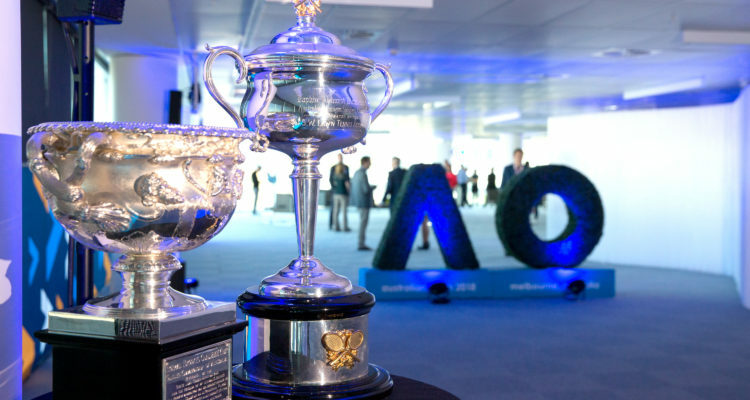 The memorable encounter between Evert-Lloyd and Navratilova is one of many classic matches that the Australian Open is featuring on its YouTube and socials channels leading up to the 2019 event. Now known as Chris Evert, she and Navratilova featured in one of the best rivalries in tennis history, and arguably in sport overall. The pair contested 80 professional matches, Navratilova claiming the edge in both their-head-to-head record (with 43 wins) and in tournament finals, in which she was victorious 36 times. Evert won 25 finals playing against Navratilova. This final match between the pair, and many more classic matches from the Australian Open, can be seen on the Australian Open YouTube Channel. This entry was posted in Australian Open, Grand Slam and tagged Australian Open.